Life for the last 6 months has been super busy, between an increased workload and an increased training load. We're starting to settle into a good spring/summer rhythm. Lots of sunlight means lots of time to get stuff done. So, at long last, an update. After a long, but productive, winter season, we headed down to Sarasota, Florida for some water time. We were there for 3.5 weeks, and ran and swam and rowed and biked as much as possible. All this to prep for the first National Selection Regatta. 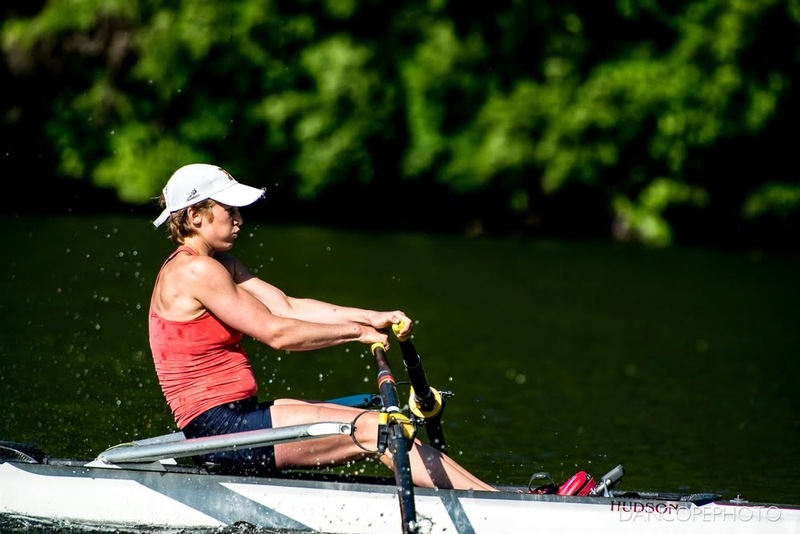 Unfortunately, US Rowing changed the format of racing this year, eliminating the lightweight women's single from the NSR program. This year, doubles were emphasized at the first NSR, but GMS is a very small club. That makes finding a partner difficult. We had used NSR1 in the single to help us find appropriate doubles partners. Without that option, I was without a partner. Guenter (my coach) and I decided that focusing on the single was the best option. The open weight women's single was offered at NSR1 (although doubles were given higher priority). With only 7 entries (four of them lightweights!! ), it was a good, low-pressure race to start the season. 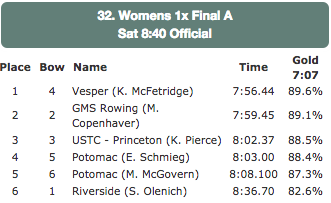 The two Potomac athletes are also lightweights. My racing schedule for the summer is not yet finalized, but here are the domestic races I hope to attend. Notice that they are all in New Jersey? 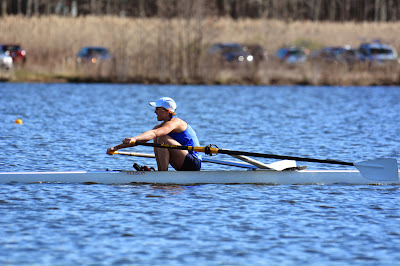 Currently all national team trials and most elite level regattas are held on Mercer Lake, just outside of Princeton. If you know anybody in the area willing to host a rower, let me know! Hotel costs add up quickly over the season (and hotels don't have kitchens). Want more regular updates? Follow me on Twitter or Facebook! If you like what you read, please share it using the buttons below!